These Tibetan silver coins known as Ga-den silver Tankas are considered by many to be the most beautiful of all Tibetan coins. They were struck around the time of the 12th Dalai Lama. Tibet historically represented a forbidden land encircled by the Himalayan and Kunlum mountains. The Dalai Lamas, the spiritual leader purposely isolated the country for over a thousand years. 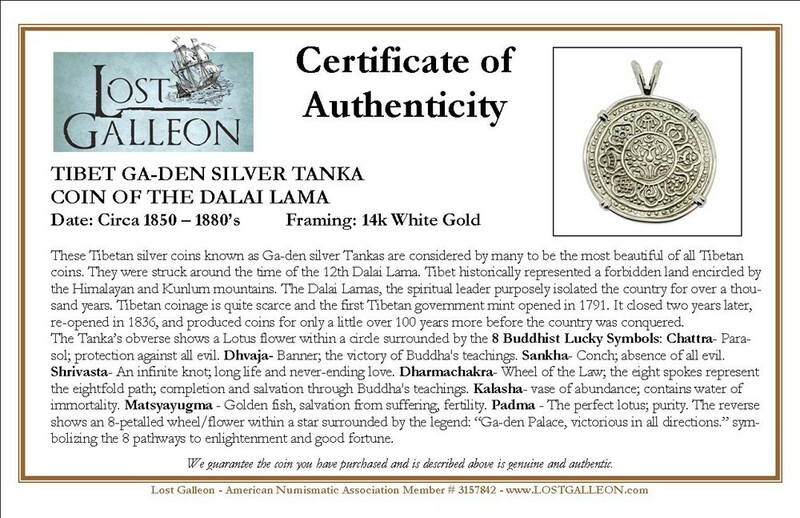 Tibetan coinage is quite scarce and the first Tibetan government mint opened in 1791. It closed two years later, re-opened in 1836, and produced coins for only a little over 100 years more before the country was conquered. 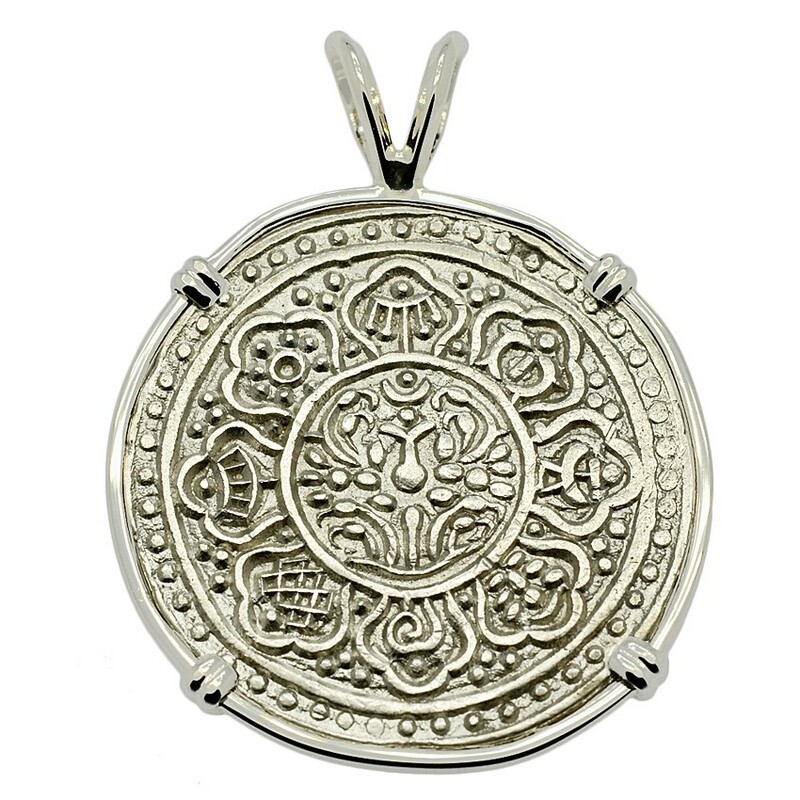 The Tanka’s obverse shows a Lotus flower within a circle surrounded by the 8 Buddhist Lucky Symbols: Chattra- Parasol; protection against all evil. Dhvaja- Banner; the victory of Buddha's teachings. Sankha- Conch; absence of all evil. 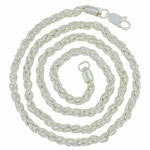 Shrivasta- An infinite knot; long life and never-ending love. 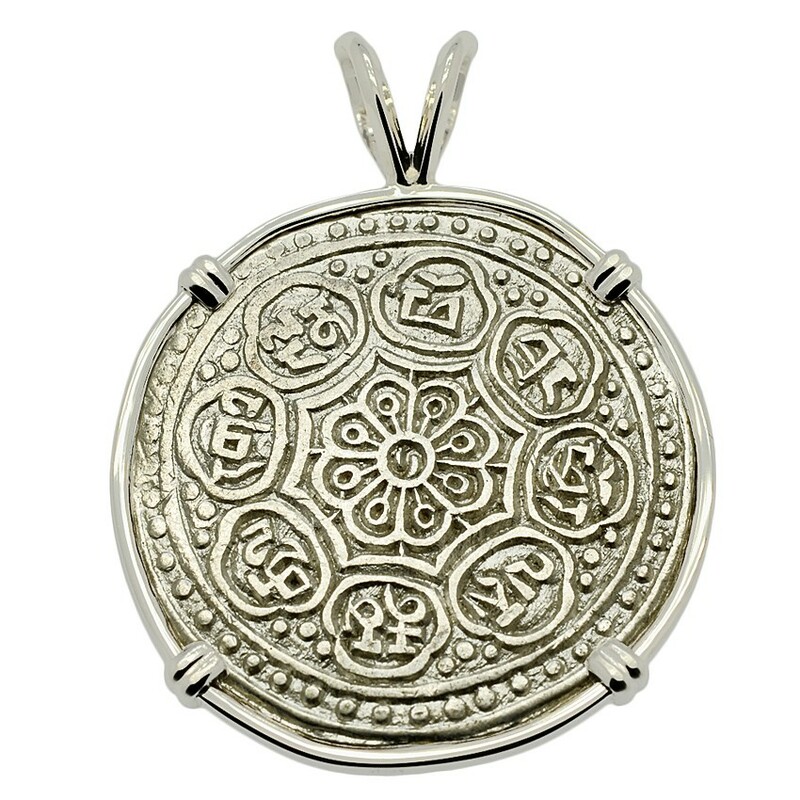 Dharmachakra- Wheel of the Law; the eight spokes represent the eightfold path; completion and salvation through Buddha's teachings. Kalasha- vase of abundance; contains water of immortality. Matsyayugma - Golden fish, salvation from suffering, fertility. Padma - The perfect lotus; purity. The reverse shows an 8-petalled wheel/flower within a star surrounded by the legend: “Ga-den Palace, victorious in all directions.” symbolizing the 8 pathways to enlightenment and good fortune.